Pride of ownership is evident in this original owner brick bungalow in popular Henderson Place. 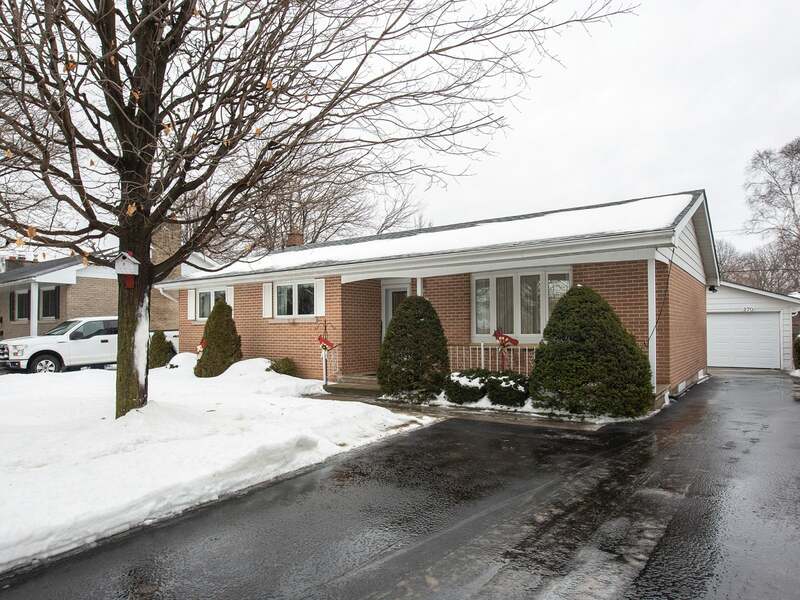 Ideally located within walking distance of 3 schools and set on a spacious 60 x 115ft lot. Offering 3 bedrooms, 2 full baths w/bright living room, dining and kitchen w/breakfast nook and step down to sun room addition at rear. Mostly finished basement including huge rec room w/gas fireplace, 3-piece bathroom and workshop area. Central air, central vac and 100 amp w/breakers. 16 x 24ft detached garage with opener, two storage sheds and nicely landscaped both front and rear with mature trees. New double wide paved driveway in 2016, 40-year roof shingles in 2008 and more! This well cared for home is ready for a new family to enjoy. Lot Size 60 x 115 Sq. Ft. Please send me more information on 270 Glen Castle Road, Ontario. Thank you.